Charming self contained self catering apartments in an old school building in Eastgate Street in the pretty market town of Bury St Edmunds. 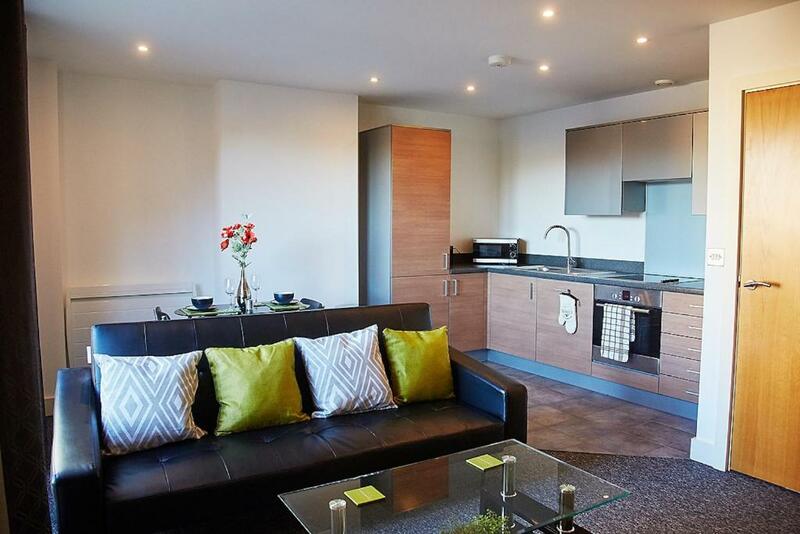 Situated near to Abbey Gardens just by the crossing of the River Lark, the apartments are a short walk from Bury St Edmunds cathedral and town city centre. Choose between 1-bed or 2-bed options, suitable for 2-4 guests. Each of the apartments has a comfortable, clean and classic styling throughout which is sympathetic to this characterful building. Each of the apartments has a well equipped fitted kitchen and a private bathroom with a shower. Bury St Edmunds' shopping mall with a range of stores and eateries incluing Debenhams, HMV, Monsoon, Byron and Waterstone's. 16th-century Anglican church built on a medieval site, plus notable stained glass, crypt and font. Operated by Abellio Greater Anglia with trains to locations like Cambridge, Peterborough and Ipswich. Beautiful university city with good range of self catering serviced apartments. Ipswich is the county town of Suffolk.